We Know TURF. 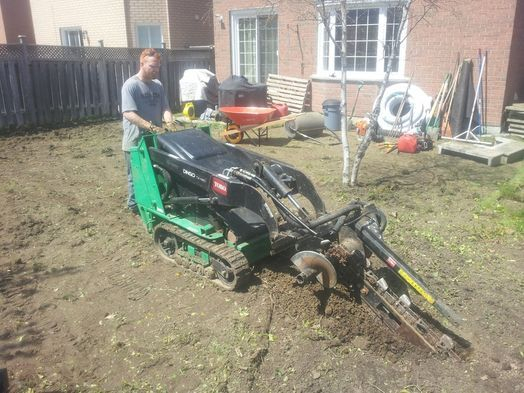 We built our business off of installing sod and grass! We Serve Richmond Hill, Vaughan and the GTA. Installing Only The Finest Farm Fresh Sod - Sod Doesn't Get Any Fresher Than This! 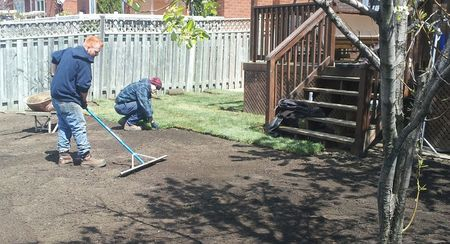 We provide complete sod replacement. With many years of experience, and the right equipment, we can give you the outdoor space you have always dreamed of. Sod is the only solution for that instant "WOW" factor. Sod can be put in the soil throughout the season. Its developed roots easily penetrate the soil, and with regular maintenance you can have an affordable showpiece property. The sod growing farmers take excellent care of the turf when it is growing on their farms. We get our sod the same day that it is cut from the farm, and delivered straight to your door. It is regularly watered, well kept and fertilized, which enhances the growth of roots and makes them strong and significantly more resistant than regular seeded grass. A lawn looks denser with the use of sod as it is planted in close proximity thus leaving no empty or barren patches and is weed free. Copyright ©2018 Cabana Landscaping Ltd.